Our work is grounded in charitable service to others, and volunteers are a key component of this. In 2018, a total of 293 volunteers donated 8,890 hours of time in service at the Y. The service is valued at $195,580. A volunteer application may be required for certain work. Several opportunities are described below. Dedicated community leaders with diverse talents help define and forward the Y's Strategic Plan. Members take leadership role in annual fundraising through personal contribution and active participation, and serving on committees. Board members meet monthly and committees meet monthly. Contact Executive Director, Rob Wilkinson. Teach youth in your choice of seasonal activities such as soccer, volleyball, basketball, flag football, or track. Team parents help coaches through communication and support planning such as snacks and appreciation, if desired. Serve 2-3 hours per week for 6-12 weeks depending on the sport. We provide training to caring adults to help youth ages 6-18 who are in need of a friend. Contact Reach and Rise Director, Dianna Reichelt. 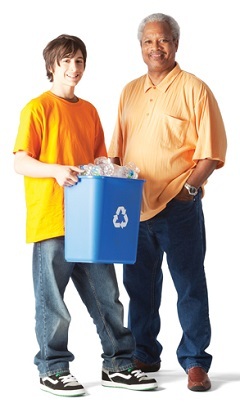 Provide educational support to teens after school for 2-20 hours per month during the school year. Contact Senior Program Director, Diana Martinez. Experienced Belayers are needed to help during community special events such as Halloween Costume Climb or graduating Senior Appreciation Night. Help with large and small construction, carpentry and landscaping projects is always welcome. Contact Facility Manager, Diego Torres. 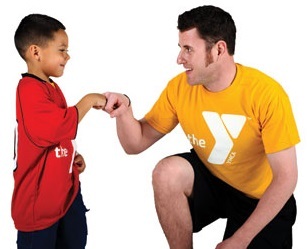 The Y believes everyone should have access to our healthy activities. Each spring we hold an important campaign so we can provide financial assistance to approximately 300 individuals. Training is provided to volunteers who help us tell our story. These volunteers provide the leadership on our annual campaigning or help at our fundraising events for 10-30 hours total from March through June. Contact Executive Director, Rob Wilkinson. Share your in-depth knowledge with the community or in our afterschool program through a special presentation, ongoing instruction or direct service. Photographers, artists, gardeners, experts in their field are desired. Volunteers are needed at various special events throughout the year including races, golf tournaments and competitions for 3-5 hours/event. Adults chaperones are needed for late-night teen-serving events such as 5th Quarter after varsity home games, Safe Homecoming and Safe Prom, and Senior Appreciation Night. The Laboratory matches a percentage of donations on the dollar to an organization on behalf of staff and retirees who volunteer a minimum of 100 hours. Click here for registration instructions. Other volunteers may call 662-3100, or visit VolunteerMatch.